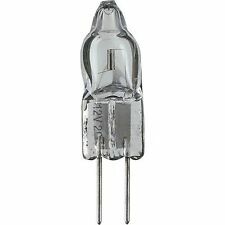 2 x Philips 10W 12V G4 2700K Warm White Dimmable Halogen Capsule Bulbs Brand New Genuine Product with Manufacturers Warranty Included Philips capsule bulbs provide crisp, sparkling halogen light, bringing out the best in your luminaire. All Philips capsules are fully dimmable and are also available in an EcoHalo version. These light bulbs have a C grade Energy Class rating, and are suitable for use with a dimmer switch. Bright light, rich contrast With the bright light of these Philips halogen lamps, contrasts get richer, letters become sharper and visibility gets better. Bright light is more relaxing for your eyes, allowing for a better focus. Dimmable You control the level of light you need. 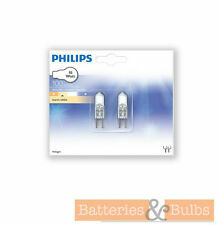 Dimmable with all dimmers, this Philips halogen bulb can be adjusted from a . TYPE 7387 10W DIMMABLE. CAP BASE G4. Type of Bulb Halogen. Colour Rendering Index (CRI) 100.00. Sparkling bright light. Item Weight 50 g. Weight 50 Grams. Item model number 41390125. Two bulbs as described in title. See pictures. MPN 413901. Type Halogen Bulb. Need Help?. When we notify you of the estimated arrival date you will be able to decide whether or not to proceed with the order. Under no circumstances shall the liability of Energy Bulbs exceed the price of the goods. 2x G4 10W 12V halogen bulbs. Power: 10w. Type: Halogen. 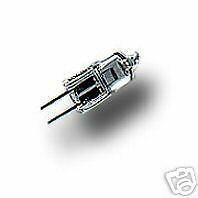 10pcs G4 10W 12v HALOGEN BULBS. G4 12v Halogen bulbs. Also widely used in caravans, long boats, motorhouse, various yachts and boats. Cap/Base G4 (pins 4mm apart). Beam Angle 360°. Colour Warm White. 15pcs G4 10W 12v HALOGEN BULBS. G4 12v Halogen bulbs. Also widely used in caravans, long boats, motorhouse, various yachts and boats. Cap/Base G4 (pins 4mm apart). Colour Warm White. Beam Angle 360°. 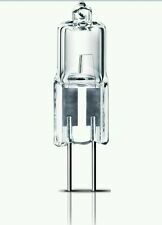 10 watts 6 volts 7387 ESA/FHD 3200k G4 2-pin base M29 Halogen Light Bulb. Color Temperature (K) 3200K. Base G4 2-Pin. Bulb Type Halogen Bulbs. LED Lighting. Light Bulbs. Maximum Overall Length (in) 1.22. Base G4 2-Pin. Bulb Type Halogen Bulbs. LED Lighting. Color Temperature (K) 2700K. Light Bulbs. Maximum Overall Length (in) 1.18. Need assistance?. Color Rendering Index (CRI) 100. These ensure optimal beam performance and consistent, high light output. The luminous flux is a weighted sum of the power at all wavelengths in the visible band. Bulb size Bulb shape Finish type:The way that a product is finished e.g. paper can have a matt or gloss finish. Philips MR11 Landscape Lighting Indoor Flood 10-Watt 12-Volt Light Bulb GU4 2pk. Condition is New. Shipped with USPS First Class Package. THREE 10W & FIVE 20W. (LOT OF 8). The condition of this item is a #1. The item condition numbers and their definitions are below Unable to test due to lack of knowledge or inappropriate power source. 10 Watts, 12v, JC Type G4 Base. factory sealed Halogen Bulbs is. All major credit card accepted. Watts: 10W. - Beam Spread: 30°. They provide a crisp, bright halogen white light and should only be used in 12-Volt enclosed fixtures. Light for all of your specialized fixtures. 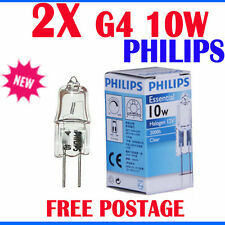 2 Philips 10W Clear G4 Base T3 Halogen Landscape & Cabinet Light Bulbs. Paypal only. Ships 1st class. Shipping cost shown on your listing is for 1 group of 2 bulbs. WE RUN SALES OFTEN, SO MAKE SURE TO CHECK BACK OFTEN! YOU WON'T BE DISAPPOINTED. Type 79310700. 1.7 W 12V complies with traditional 20W. Energy efficiency class A . Color temperature 2700 k. Length 38 mm. Versatile for multiple applications, this 3000-Kelvin bulb is ideal for illuminating walkways and accent landscaping. Dimming feature makes it easy to create the right ambiance for any activity. Features a G4 base.